Great laughter results when I pull out my BlackBerry 6230 in front of my brothers. Affectionately known as the Blueberry, this brick was durable, but not very fresh. Today my employers took back their Blueberry and gave me a Blackberry Curve. The Curve has such modern conveniences as a camera and has a high res LCD screen. 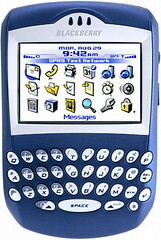 It's not the newest Blackberry on the market, but it's new to me, and it should evoke less laughter from the peanut gallery. I am so glad i don't have a BB. It's been threatened a few times but so far so good. i don't want to be that connected. The trick is to avoid using it for work. I'll take one of those over a Curve anyday. I got myself a Blackberry Pearl flip phone for myself shortly after Xmas this year and I'm loving it. Would be nice to have all 26 keys, but I'd much rather have the clamshell case. The Storm and Bold are great but I still love my Curve and it's way better than the worthless Pearl I had months before....that thing had too many problems. Enjoy the Curve, I do! Ah yes, the age where we're defined by our gimos. It's about as pretentious as white headphones. Count me out. (yes, I do rock a newer iPod Classic, but that's all about practicality and space, not apps and slick curves). L.
I recently enquired about the Curve. 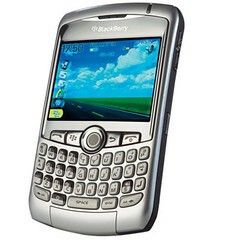 With my pay hike finally kicking in I think I'll go for a BB Curve. But what I'd like is to get the Storm!